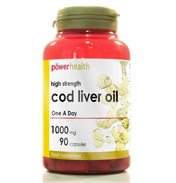 As the name of it suggests, Cod Liver Oil is derived from the livers of Cod, the fish. 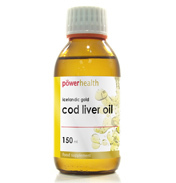 The oil is extracted and is one of the best providers of Omega 3 essential fatty acids, as well as been an excellent source for vitamin A and D (which is needed for healthy bones). The fats don't actually oil the joints as you may imagine, rather they contain prostaglandins which actually help with inflammation. 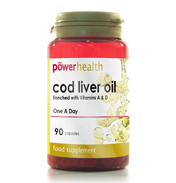 Cod Liver Oil can help with the nourishing of hair, skin and nails, as well as bone and brain health. When choosing a product try to look for ones with the highest levels of omega 3 fats which are sometimes called EPA and DHA. Products by HealthAid are also available mixed with other active ingredients such as garlic, and vitamins and minerals. 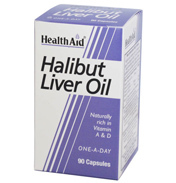 Also included on this shelf is Halibut liver oil which is considered by some to be a richer version of fish liver oil.